Very stylish work. Thanks for sharing! I imagine it will get a lot of use. Lots of nice touches, like the winding staircase seen through the door! Also, that Minataur is totally boss! LD, I am considering making animated versions of the characters and monsters if there'd be interest. 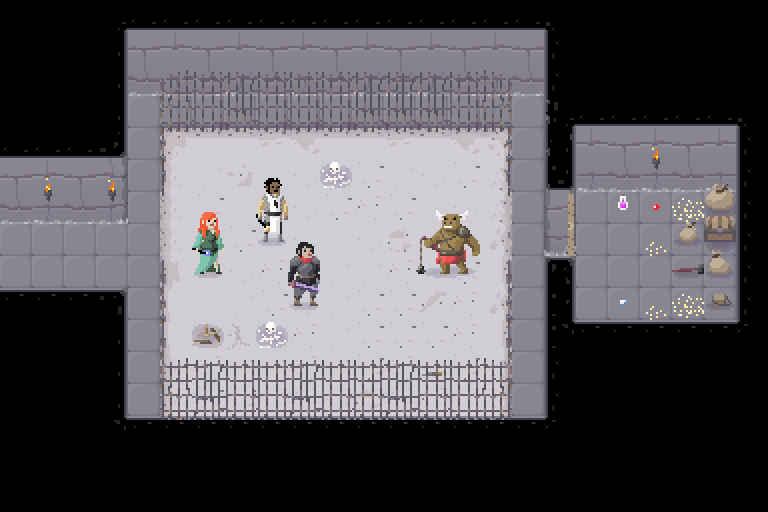 My main concern is that they'll really have to be a bit bigger than 16x32 as I already packed as much as possible in those dimensions but would still want them to fit in the existing dungeon tiles. I figure it should be fine if the idles still fit in roughly that much space and things like swipes and limbs and weapons moving around could be outside the 16x32. The dev could just add an appropriate offset+centering and have them appear in the correct place on a tile. I might go ahead and work on animated versions of what appears in the sheet, I will see! Looks really cool! Great drawing style! I love the style. Animations would really bring the tileset to life. 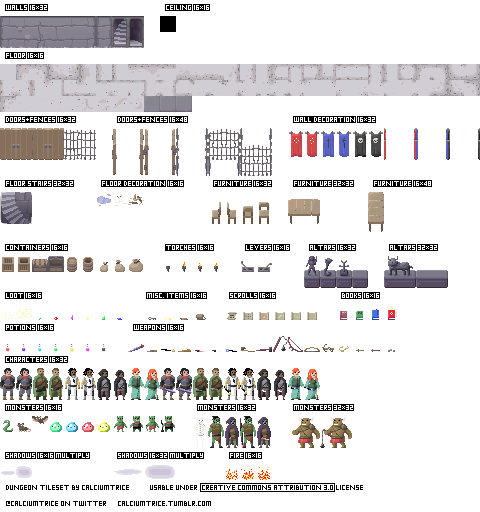 Calciumtrice, animations for this tileset would be greatly appreciated! Your work is amazing and it looks like just the thing I've been looking for a new project of mine. Beautiful art, I hope I can put it to good use sometime soon. I made the first of the animated versions of the characters . The warrior can be found over HERE. Second animated character done. The ranger is HERE. They have a bow. Pew pew! If anyone has a preference for which character or monster they'd like to see animated next, let me know. Will you develop any enemy character?! The first animated monster, the slime, can now be found HERE. I registered just to say that this is awesome. Fantastic work! I love your style, definitely using this and your other animated stuff. Your friends and mine, the rat and the bat, are now up HERE. Do you plan to make other dungeons parts like caves, or water and lava? Tom, I'm working on animating the characters from this at the moment but I was considering doing a little expansion of it to include some caves, maybe. 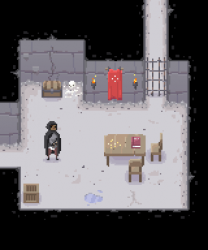 Probably just the basics if so, some walls and floors like in the simplified version of the dungeon one here (so no complicated ceiling edges as that took a while and I'm not sure how many people would even prefer that version). It would be quite easy to include water and lava and such if I put some simple pits in the set as well so I'll keep it in mind. Your tileset is probably the most modern looking available (and probably the best looking), but it is a little to small for a real game. I agree, it's really just limited to a dungeon crawler in pretty much one environment if you only use what I've made so far without editing. My initial idea behind it was to put something together that someone could use to make a really basic roguelike or something similar. If I keep working on this stuff then I should expand it with some more environments, I think. 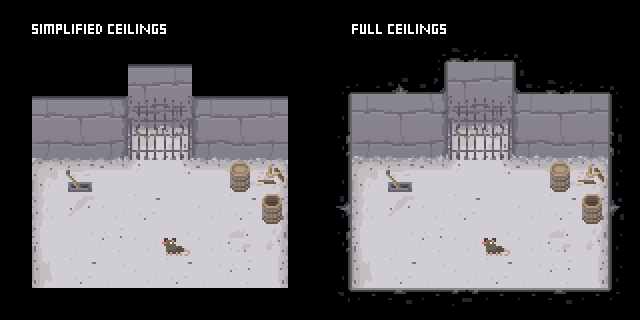 Caves would be a good next step so expect that if anything new is going to get made in terms of tileset stuff. Okay, thank's for reply, I’m looking for updates. Hiss hiss, said the snake, hissing like a snake. Animated snake is now done and is over HERE. Very pretty, it would be nice to see this in a game. Forgot to put this here last night; the cleric is animated and way pious. Find them HERE, friends. You can likely look forward to THE SKELETON next. Remember to be on your guard when SPOOKY, SCARY SKELETONS are causing trubs. Animated skeleton HERE. Animated orcs (2 distinct characters) now available HERE. Hello! 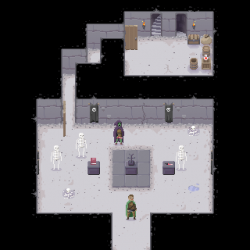 Just thought I'd let you know I used your spectacular artwork in my new game "Pixel Dungeon"! Sneak but do not be snuck up on as THE ROGUE. The final monster, the rough, tough MINOTAUR has arrived in a stompy fashion. Possibly look forward to a pack collecting the tileset and animated characters soon. I'm thinking I'll add a few extra bits and pieces like animated spell effects/explosions and maybe a few more little items and tiles. If anyone has any helpful suggestions for (minor) additions for this final version, let me know. Just wonderful, ALL of it! Your creations are incredible. I really appreciate what you've posted for us to use here :) I know they've helped me a ton! I love your art-style so much! So awesome :D I love the mage and the minotaur, those animations are amazing. Your work is wonderful. The tileset and the character animations are simply amazing. I would like to see more of it. This is the best dungeon tileset I have ever seen, amazing work! Is there still a possibility that you are going to create this? Really well done, thanks for sharing. Great work! Thanks for sharing dude! This is great! But can you make this titlemap larger, but keep its quality. These are fantastic - thanks for sharing! 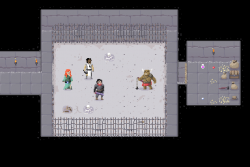 Just letting you know that I made a roguelike for 7DRL 2018 competition with some of your graphics (rogue, big man and a few dungeon elements). I really like your style. I also made a few ratling characters following the same dimensions. 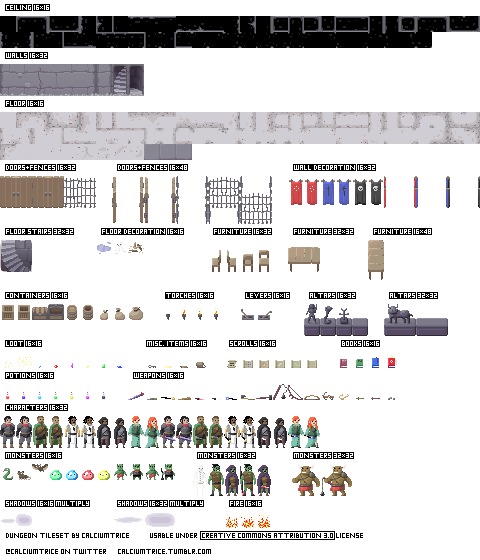 I'm going to publish them on this website unless you want to include them in your tileset.